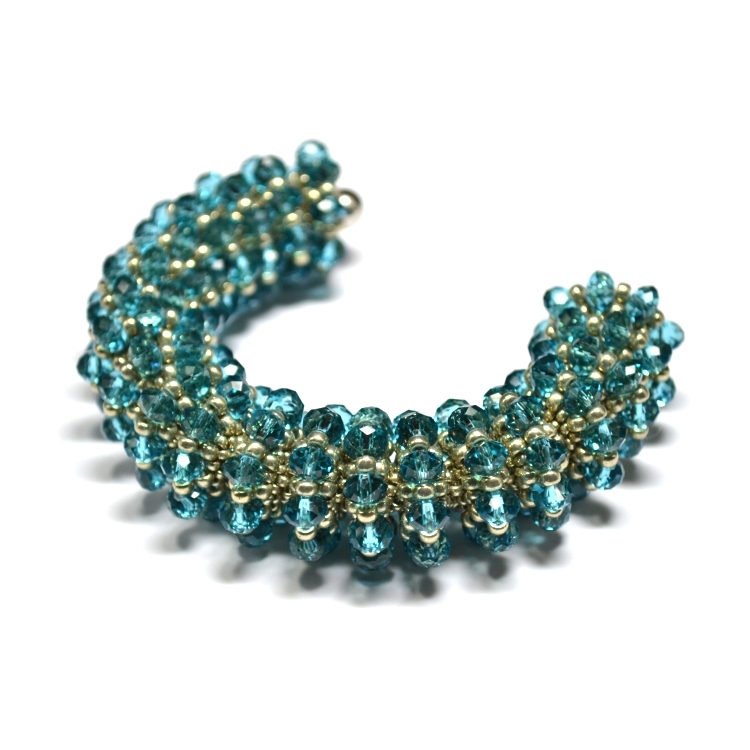 This 7-page instant download seed bead weaving tutorial contains all the instructions you need to make pieces of Affinity Jewellery. 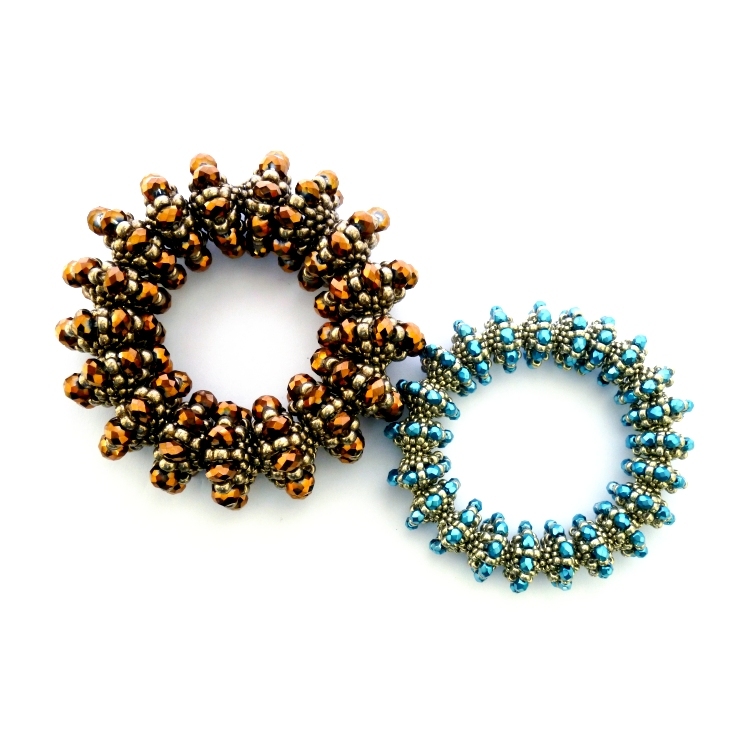 Using the same instructions you can scale up or down the size and decide whether you want to create a bangle, bracelet or even a necklace. 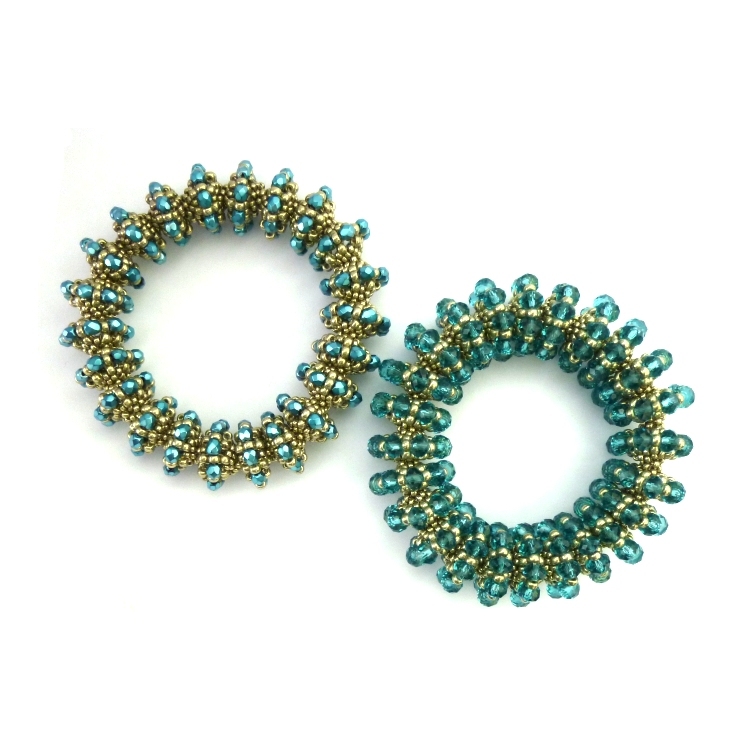 Made using a mix of seed beads plus feature beads such as crystal rondelles or fire-polished beads, the piece can sit together with a matching partner to create eye-catching jewellery. This instant download pattern has text, diagrams and photos. All of my tutorials contain full instructions and tips as well as check lists for all tools, materials and techniques needed to help you shop and plan. A knowledge of peyote stitch (especially increasing and zipping pieces together) is recommended. This project is more suited to a non-beginner. 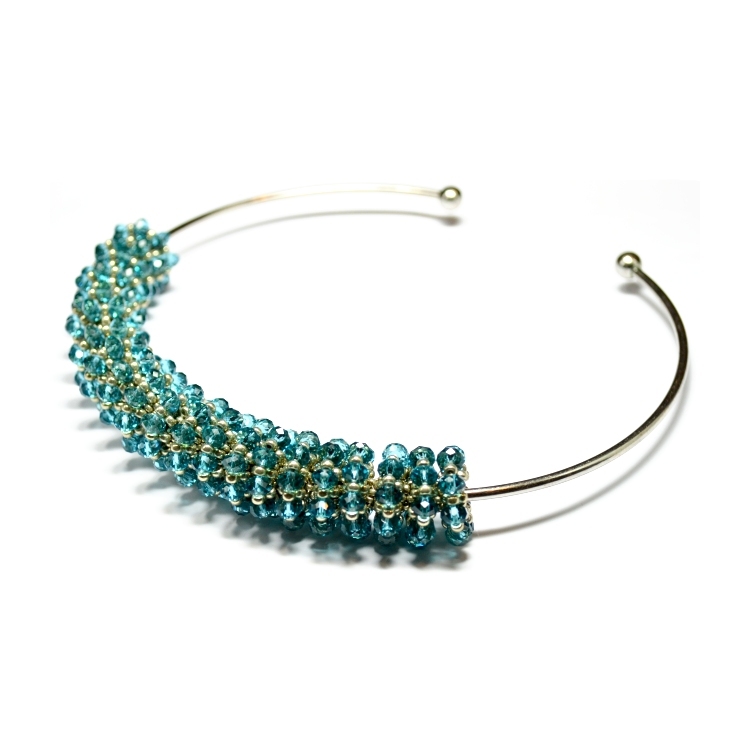 Please note that this project featured as a Designer of the Year project in the February/ March 2012 issue of Beadwork Magazine.